In our previous blog post, we announced Milaana.org as a software platform of connection is closing down. Whilst I am saddened by the news, as many members of the Milaana family are, I think there are also many reasons to be grateful for the wonderful journey we all had, building Milaana. In some ways, we are what we achieve: facio ergo sum. 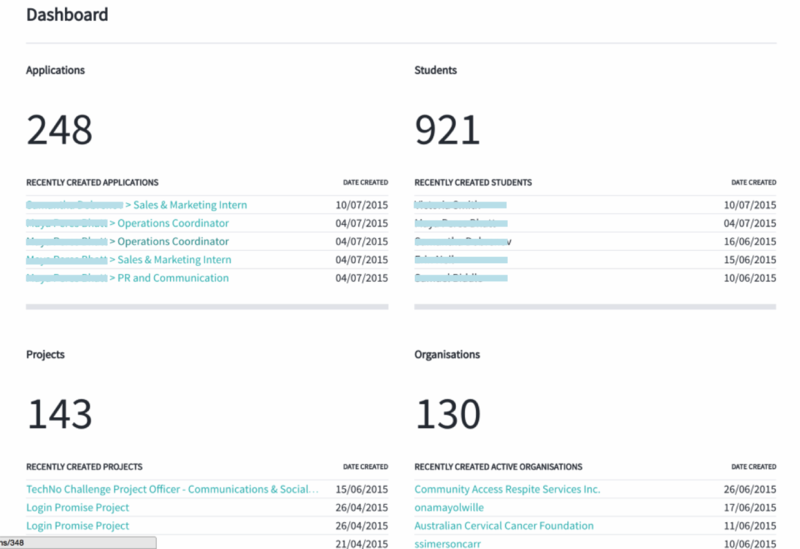 And during two years, with scare resources but a lot of passion we built, – a lot. 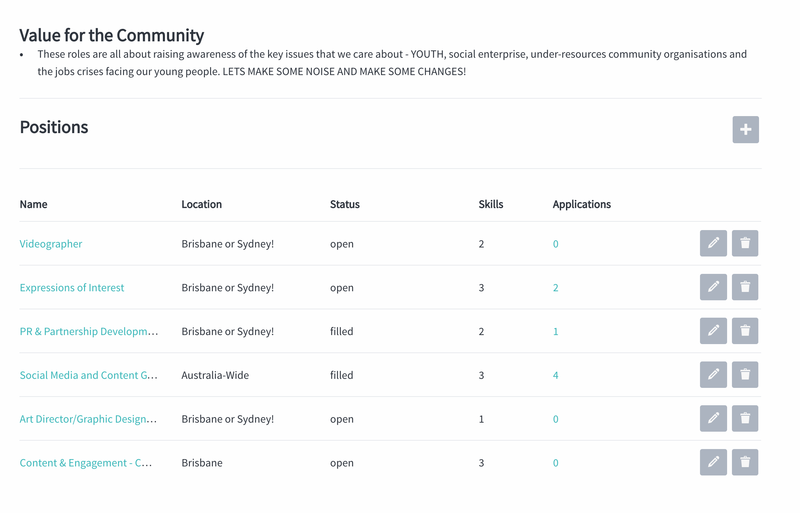 We built a tool to be used by Community organisations (Charities, Social Enterprises & Startups) seeking skilled volunteers but also by Students seeking Internships. We created the necessary foundations to connect those two worlds, ensuring the quality of the advertised community oriented projects as well as the quality of students profiles. As a software Engineer who took part into this work, I would like to describe the features we created and to share this as a resource for anyone interested in creating their own platform of connection. 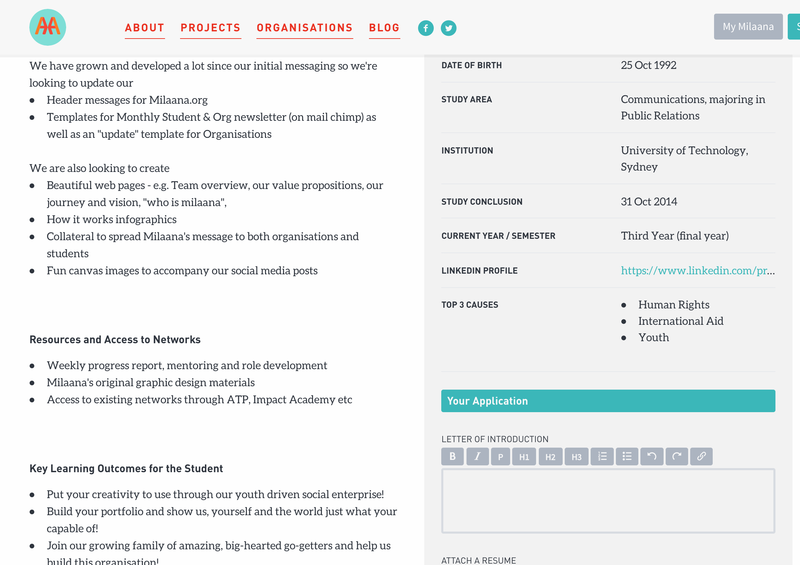 Organisations are asked to sign up and provide some basic information which are used to pre-populate their profile. 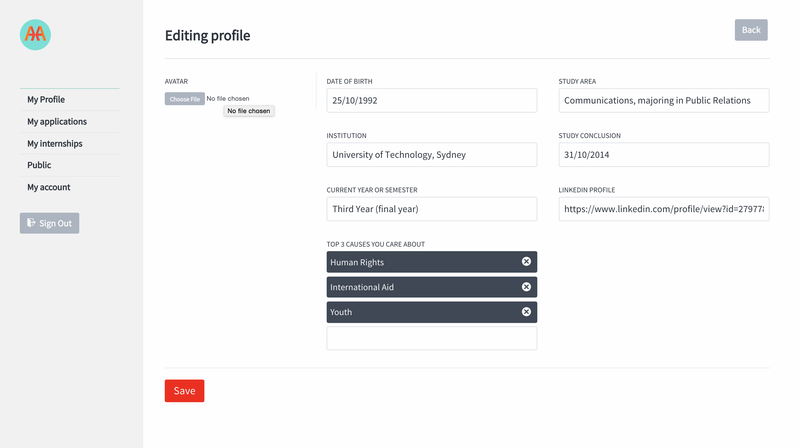 Once the sign up process is done, some more information like the Organisation Summary and Community Benefit are asked to finish the profile. This profile is validated by a Milaana administrator. 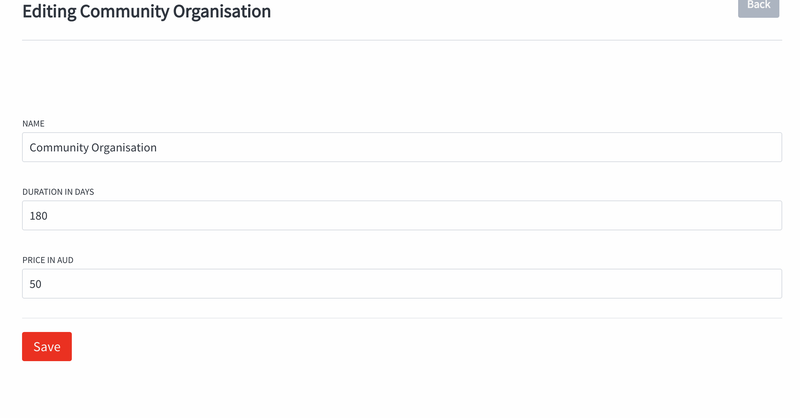 It then becomes accessible to everyone, on the public side of the website in the section ‘Organisations‘. 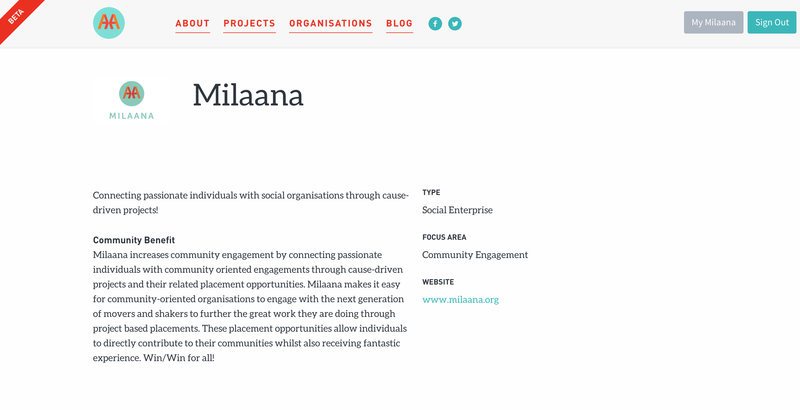 Milaana’s internships were targeted to offer real community benefits. Organisations were asked to detail what we have called their ‘Projects‘: a bigger picture than only just a position description. It includes for instance the Goals and the Key Deliverables. 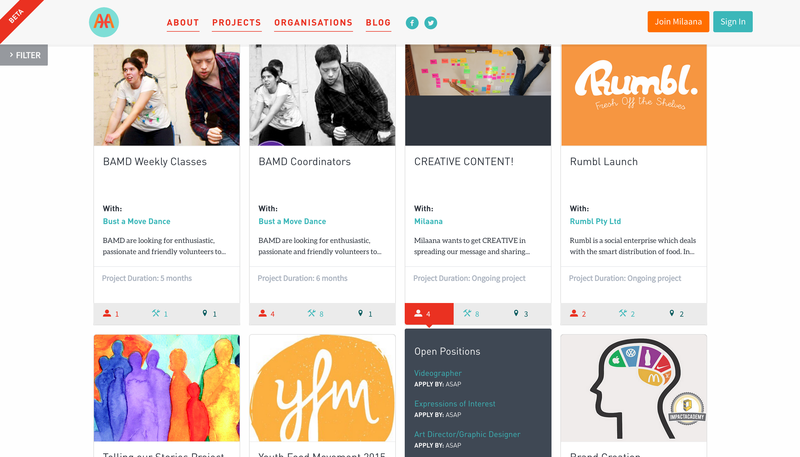 Once Organisations are happy with their drafted projects and its preview, they can publish them, just like we publish a blog post. The project is then live on the public side of Milaana under the category ‘Projects‘. On the private side of the application, an organisation can now create the different positions which will make this project a reality. For a given application, the traditional resume and cover letters of the students are available. 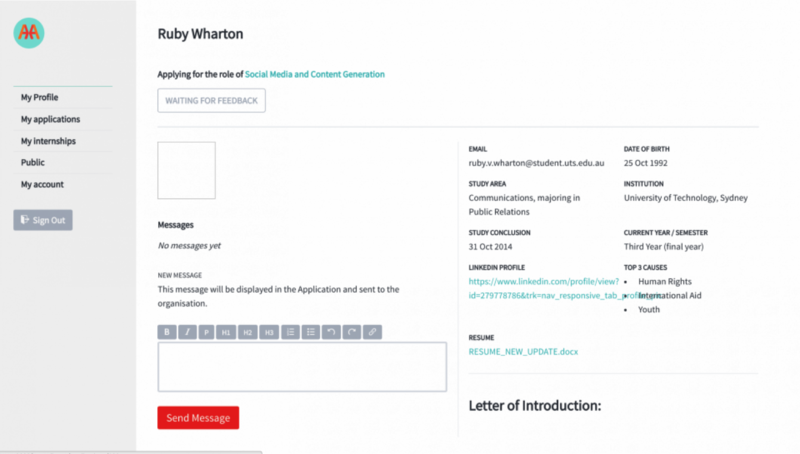 There is also a tool to send messages directly to the students as well as attached files if needed: this ensures that the whole recruitment workflow and exchanges is kept in one place. If the organisation is willing to proceed with a given applicant, they can accept him/her for the role. This has two main consequences: the position will cease to be advertised on the public side of the website and an Internship is created in the system. Rules apply to make sure only one profile can be selected for a given position. Finally, the organisation and the student can add their exchanges and attachments to the Internship to keep all the material about this one in the same, shared place. 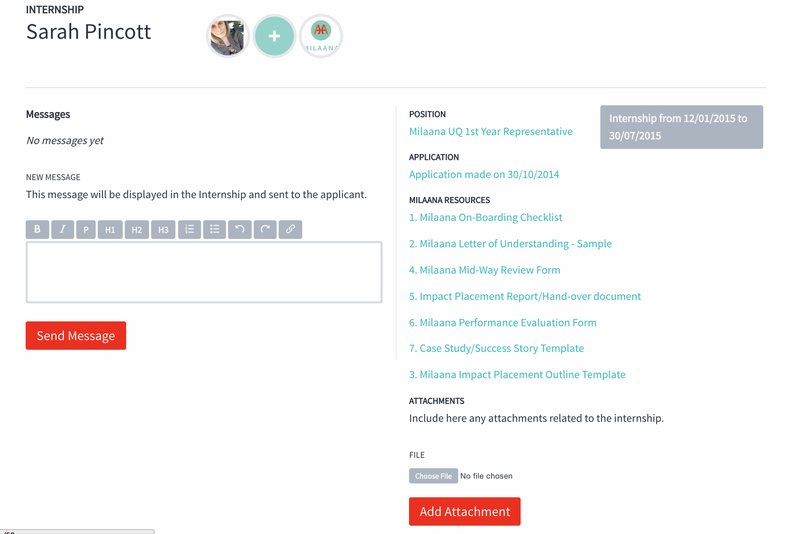 Milaana for Students and Internship Seekers. 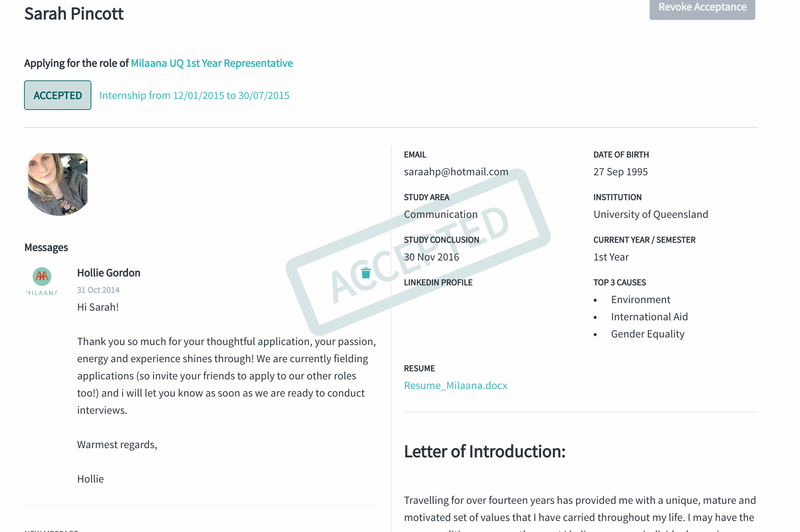 Before applying though, the student will need to sign up to Milaana and create their profile. 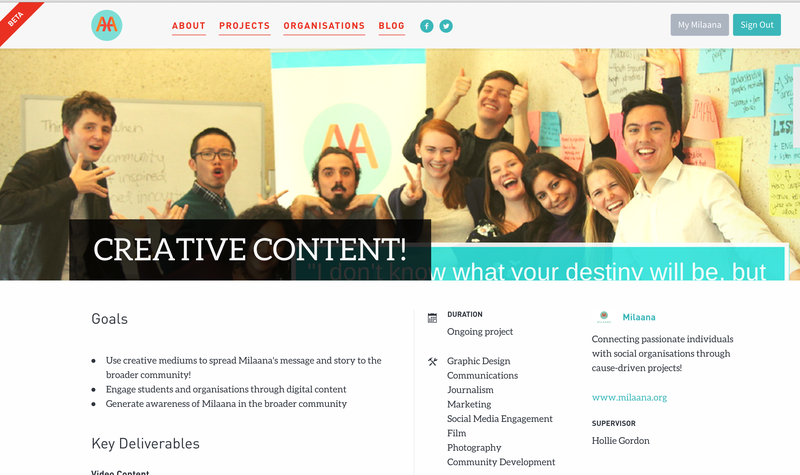 It’s worth noticing an Integration to Mailchimp has been done, enabling Milaana to send newsletters with valuable content to its registered students. 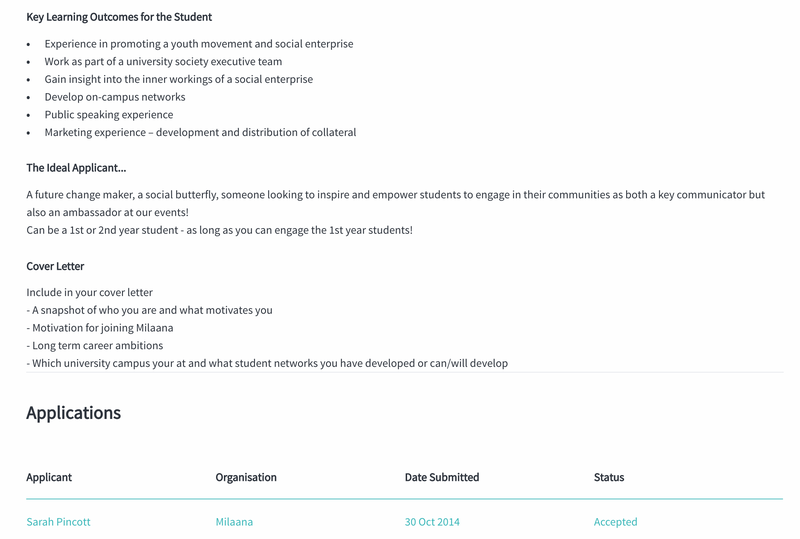 A student can at any time review their applications in the private (‘My Milaana‘) section of the app. They will be able to see if their application has been read for instance. 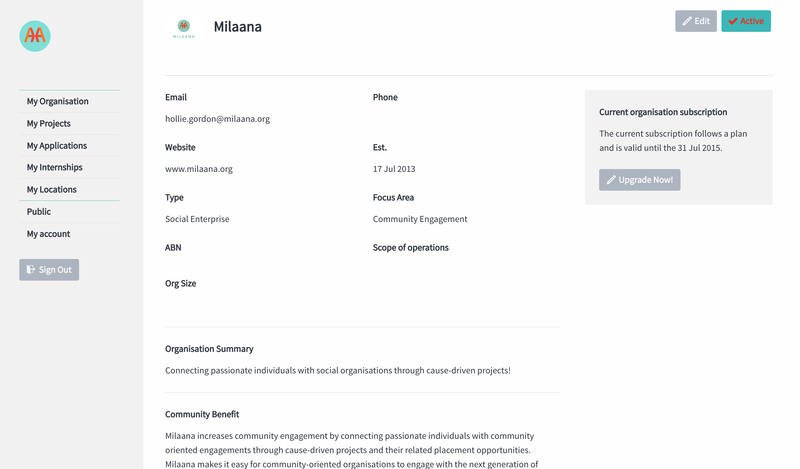 And that dear reader, is the essence of Milaana.org’s functionality as a software platform! Hosted on Amazon Web Services, EC2 Medium Instance. Assets are stored on Amazon S3. Domain managed on Amazon Route 53. 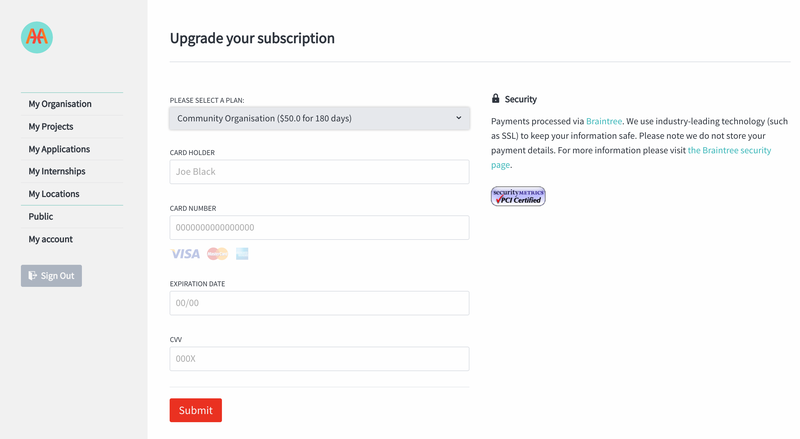 Mailchimp Integration, Email Notifications, Payments, Data Export, Geolocation, Messaging systems, Internship resources… We built a lot inside Milaana.org. 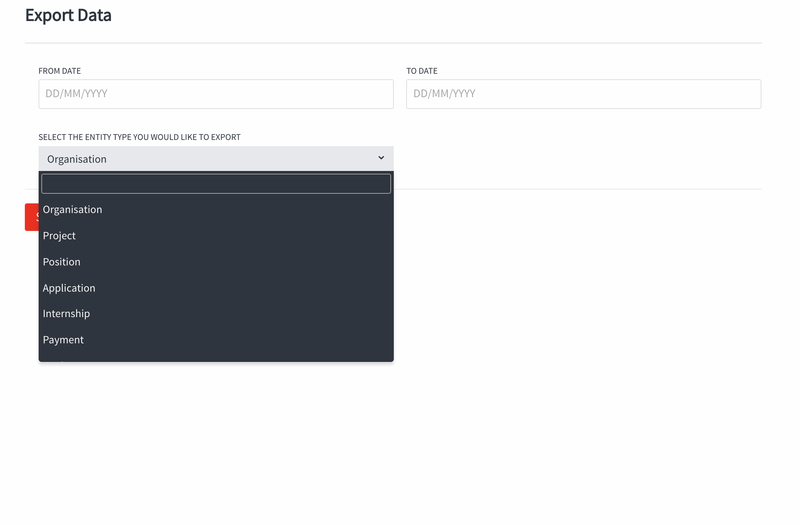 If you are interested into running your own version of Milaana or if you would like to enquire about the source code, please fill out our contact form, we would love to support your initiative!